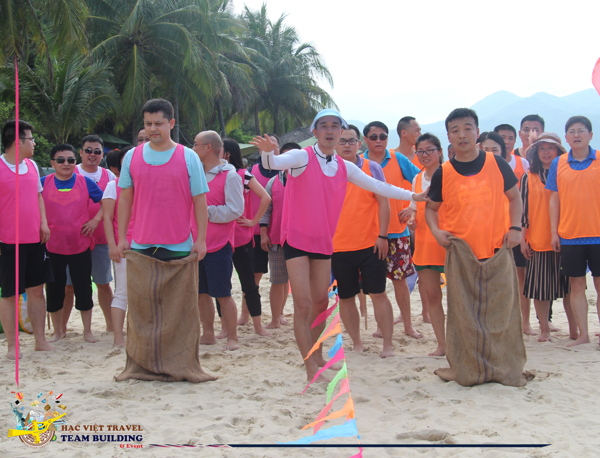 Team Building Nha Trang with the concept "Let's Do It" is designed to provide teams with the experience of picnicking and teamwork, towards building the common goal and action to grow the company. 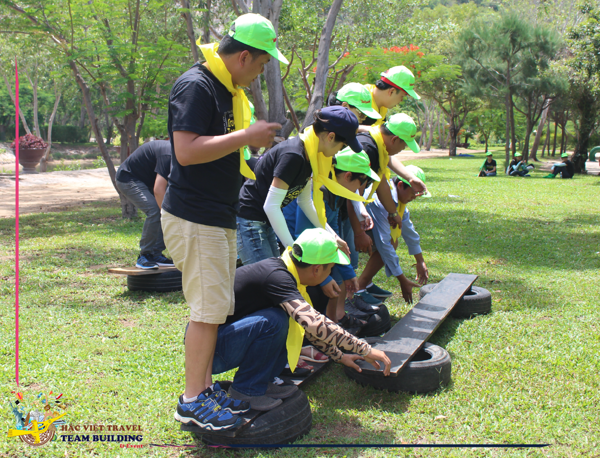 Besise that, when playing to, participants also receive many valuable lessons and skills to confidently step on the road. 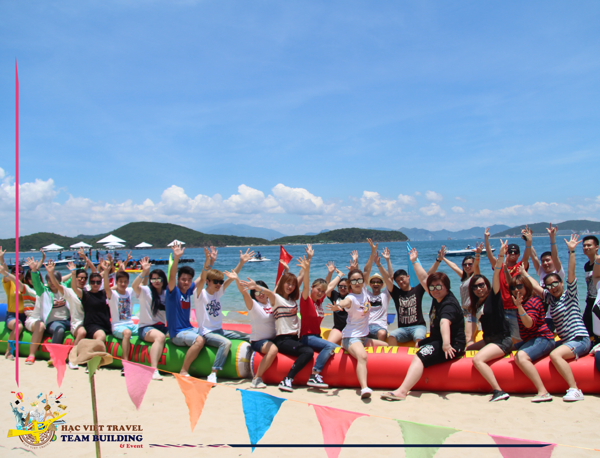 Profesional Team Building organization in Nha Trang, Da Lat, Mui Ne, Vung Tau, Phu Yen, Da Nang .. 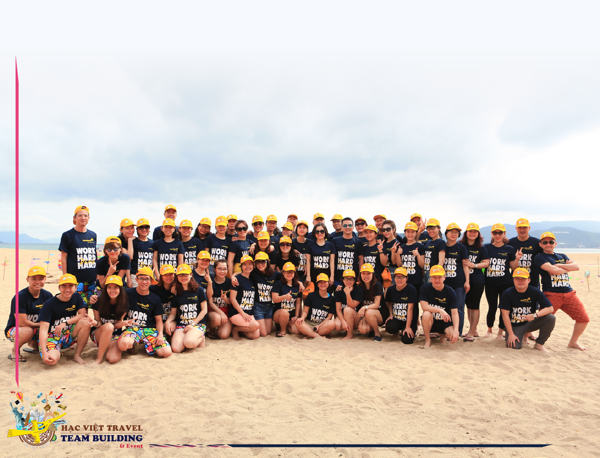 This is not a trip with a bag full of money, not someone picking up, no comfortable rooms, but can be full of dangerous, hard work are waiting for you. 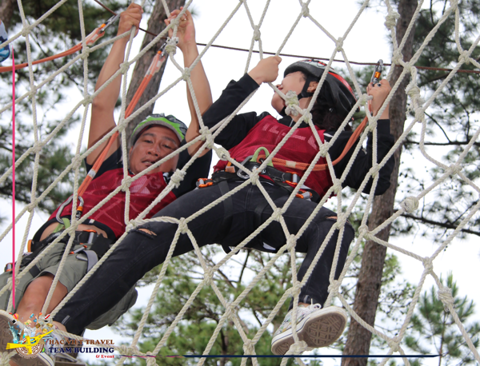 Here, you can only rely on yourself and your teammates to overcome all the challenges. 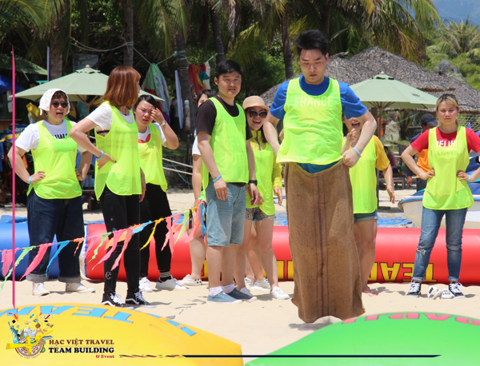 Take the victory in the first battle with Team Building Nha Trang "Let's Do It". 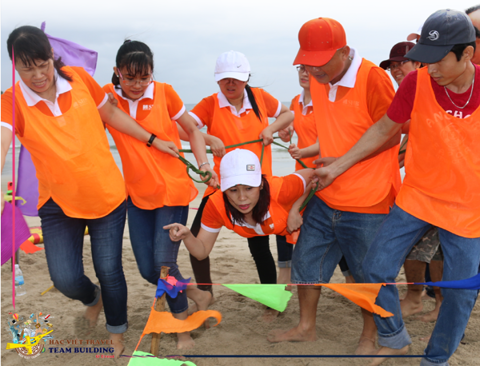 Trust is one of the key elements in team building and reinforces the relationships among team members. 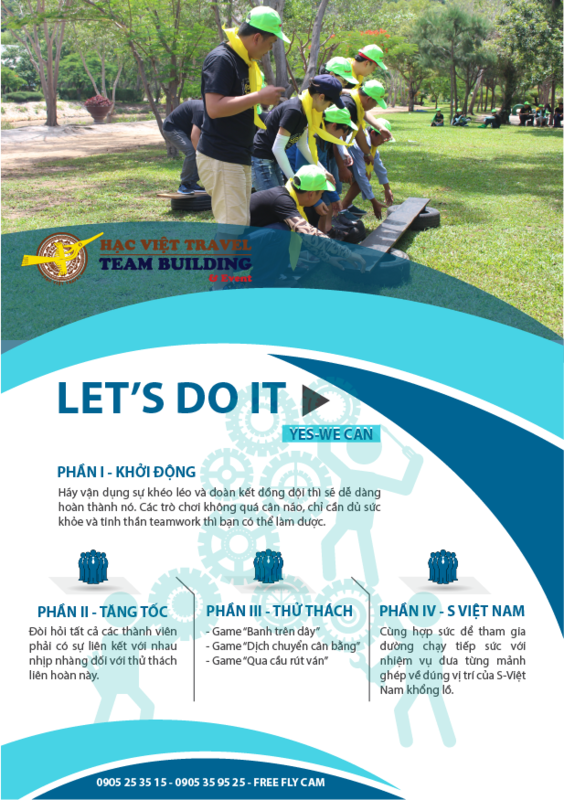 With this team building game in Nha Trang this time will help people to create a strong belief and associate more collective spirit through "Let's Do It." Team dancing – creat the logo and perform with Fly Cam. Receive confidential code - Decrypt. 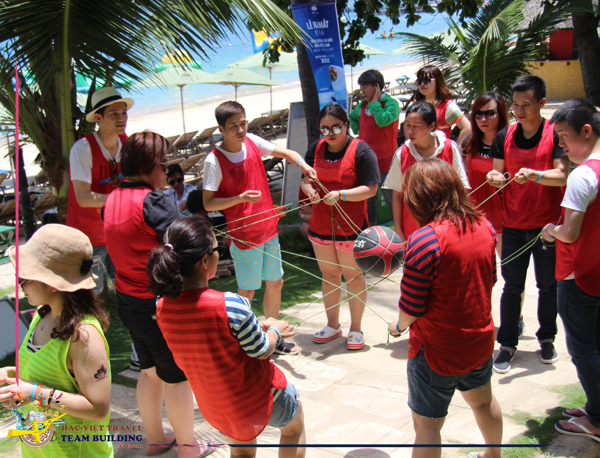 Rules: Each team has 8 of the wire and stood alternately forming a square. When there are orders, wire ball is moved on and gone back to square that are the starting point of success. 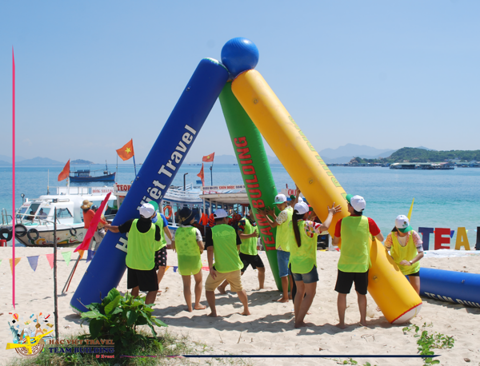 Meaning: kick the ball is responsible, work and rope bridge, the road between all members, brought together teams Team his achievements on the destination. 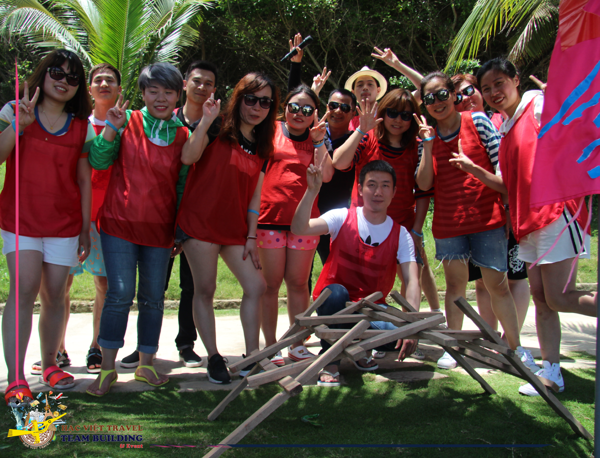 Mission: All team member will move from point A to B and drop the egg in the basket. The eggs fall outside pitting wasn't scoring. 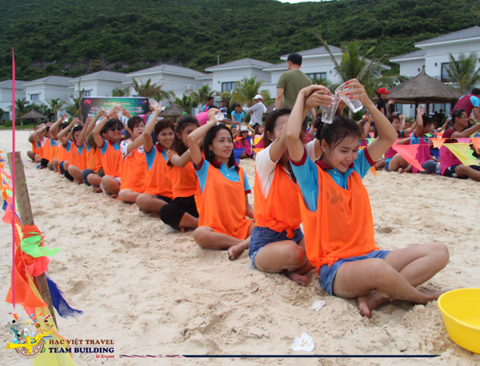 The rules: Each team is provided one water and each guest is brass one cups. Mission: The captain is responsible for water lines through out the early "backwards" for his team and not pour water to the map, so on to the last. Note: Do not pour water out and not be turning people back, in the stipulated time the amount of water in the pot the last of the team more than the team that will win.